Gini Catering provides superior food and service for any event from formal affairs to company BBQs. 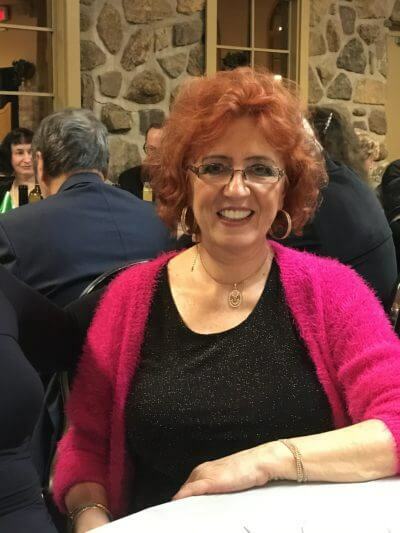 After completing the program at the cooking school, Gini immigrated to Canada, settling in the Montreal West Island, where she opened a catering service in 1990. The quality of the food and the professional service she provided soon established her as a caterer par excellence. Her clientele ranges from major corporations to private events such as weddings, birthday parties and other special celebrations. The secret of her success was not only what she did, but how she did it. “I tend to be a perfectionist” Gini explains, “so I make sure everything is properly done – from quality of the ingredients to the actual cooking and the service at the event. Our staff is trained in the proper procedures of food service and is attired in the appropriate uniforms. The food is artistically presented to heighten the appeal. Since starting the business Gini has received rave reviews from hundreds of satisfied clients. Her superb gourmet cooking and artistic presentation of dishes along with experienced professionally trained staff have made her services a hit with both corporate and private clients. Gini Catering has had a broad experience in serving a wide range of clients (birthday parties, weddings, Christmas parties, anniversaries, graduations, reunions, bar mitzvahs, funerals, etc. for private clients) to major events such as huge banquets or celebrations for large corporations and institutions (i.e. McGill, Mazda, LISI Aerospace, etc., are among a long list of satisfied customers).